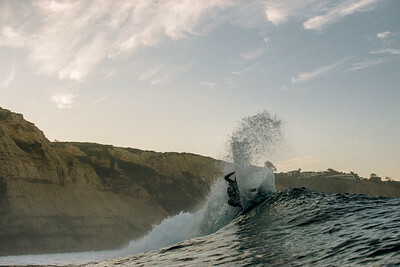 Surfing at sunset along a cliffside. 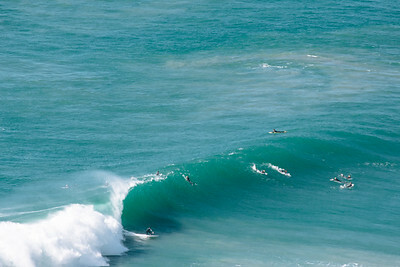 A group of surfers gaze upon a wave breaking in perfect light on a gorgeous sunny day. A surfer glides over the photographer taken under the water at the start of a really good wave. 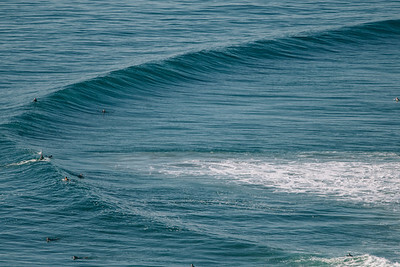 Two swells meet up to create a beautiful crater-like shape in this pacific surf break. 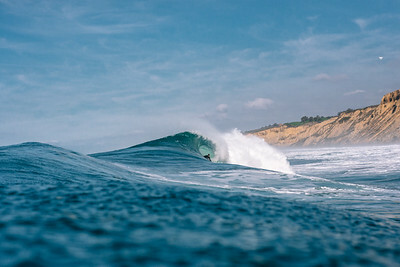 A surfer grinds along this perfect peeling barrel on an amazing day at this surf spot. A larger set rolls through with this surfer taking off. Two other surfers on the inside paddle around as fast as they can. 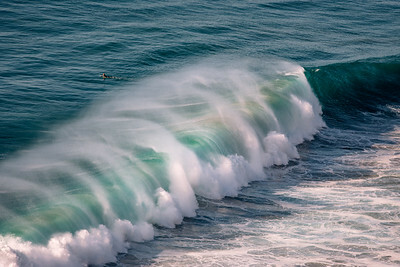 A dredging wave smashes down with some amazing spray glistening in the sunlight. A surfer paddles out towards the sun. A surfer rides along a beautiful backlit wave. Another surfer in the foreground racing to get to the outside. 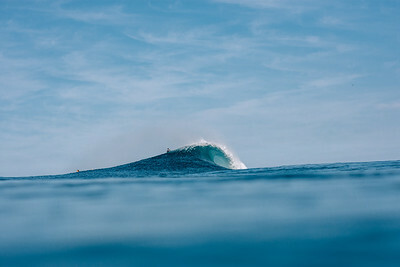 Thoughts flow through this surfers head. "Should I have gone on that one?" 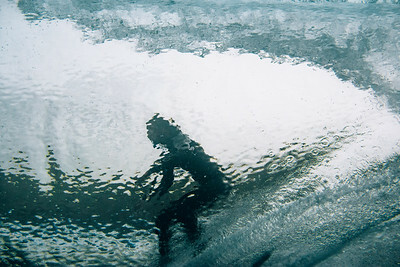 Bokeh lines the bottom of this frame as a surfer finds a fun wave during a small day at La Jolla Shores. A surfer enjoying the sunny morning as two construction workers atop the pier look down at him in Durban, Kwa-Zulu Natal, South Africa. Two surfers prepare themselves to jump off the pier on a large surf day in Durban, Kwa-Zulu Natal, South Africa. A surfer charges down on a right as the massive a -frame crashes down behind him. A surfer hacks at a wave creating a vivid depiction of a human body cut perfectly in half with the spray from the board. 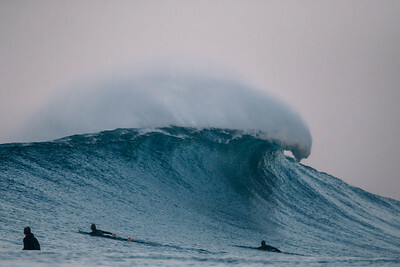 A set wave throws down a heavy lip as two surfers paddle as hard as they can to get outside of the chaos. 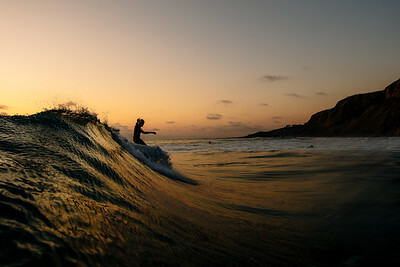 A surfer thrusts off the wave into the air. A surfer gets a really nice barrel on very rainy day. 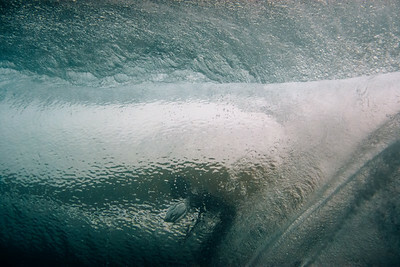 Taken from behind the wave, underwater. A surfer holds his arm out towards a clean barreling wave. A surfer performs a turn as the ocean water gloriously flies upward following the surfboard. A bodyboarder slides down the pumping wall of this wave with offshore winds in front of a shipwreck. 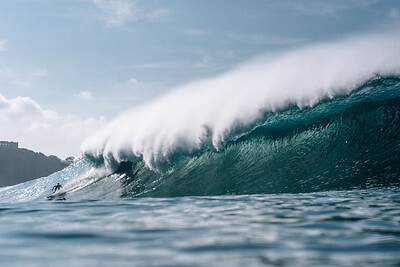 A hooded surfer grinds along this wave as it barrels and glistens behind them. Three surfers watch in awe of the massive power of the pacific ocean during one of the few winter swells that year. 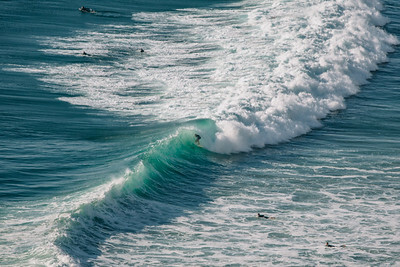 A barrel and a surfer getting barreled, taken from a high elevation.